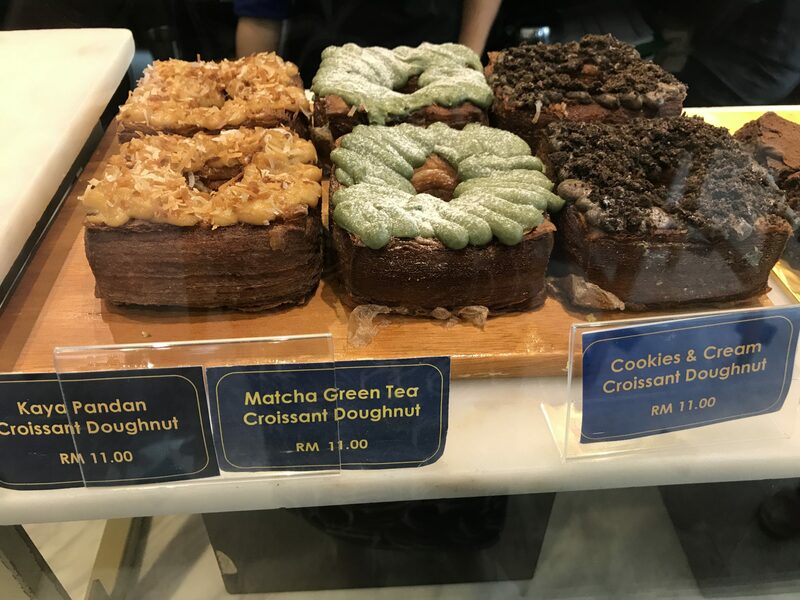 Finding out recently that Malaysia is the fattest nation in SE Asia and that Malaysians also have the highest rate of diabetes didn’t come as such a surprise to me as it might have done a few months ago, when I thought Malaysian food was all about the rice, the laksa and the tropical fruit. 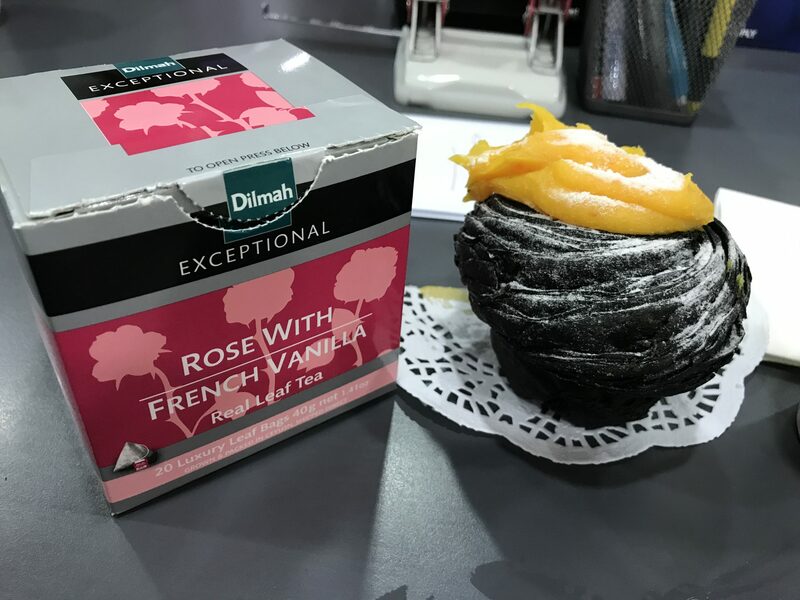 Now I’m a bit more savvy and I know about the cake shops, the sweet shops, the dessert restaurants – but until a couple of weeks ago I didn’t know anything about the ultimate weapon in the waistband-straining and cholesterol-raising armoury … Dotty’s. I don’t know when this photo was taken, but I’ve never seen the place without a huge queue outside, so it was either very early in the morning, or they were holding the blubbery hordes back with cattle prods to get an uncluttered shot. 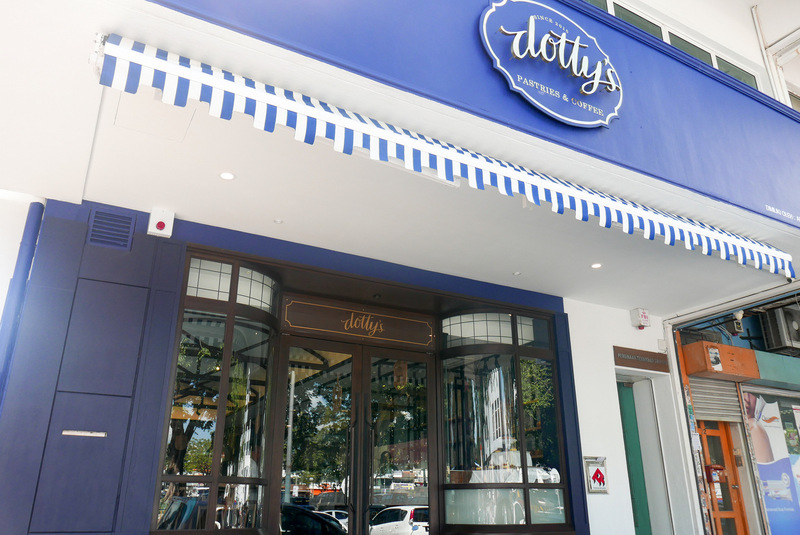 Dotty’s has managed to combine the divine salted egg yolk – usually served as a coating for seafood – with a sweet cream, and then stuff it inside something even sweeter and fattier. 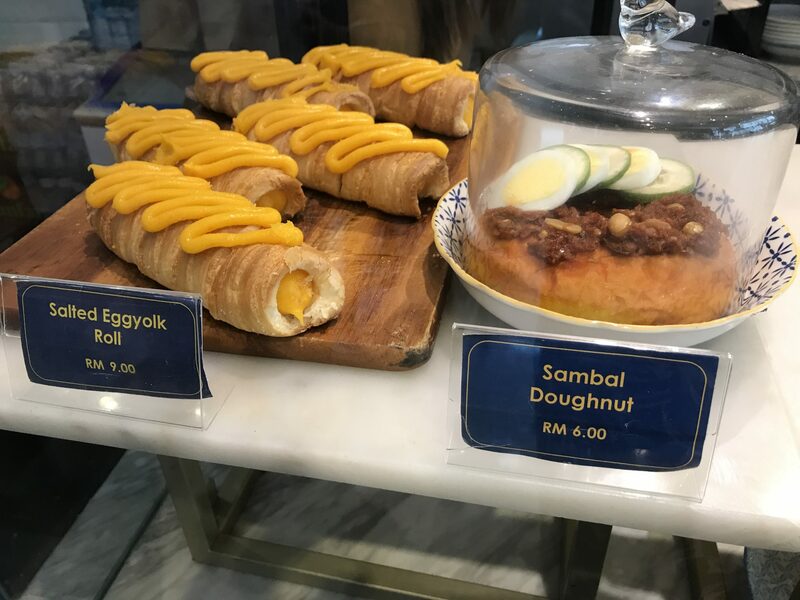 But the salted eggyolk roll is just for beginners … my arteries barely twitched when I had of these. 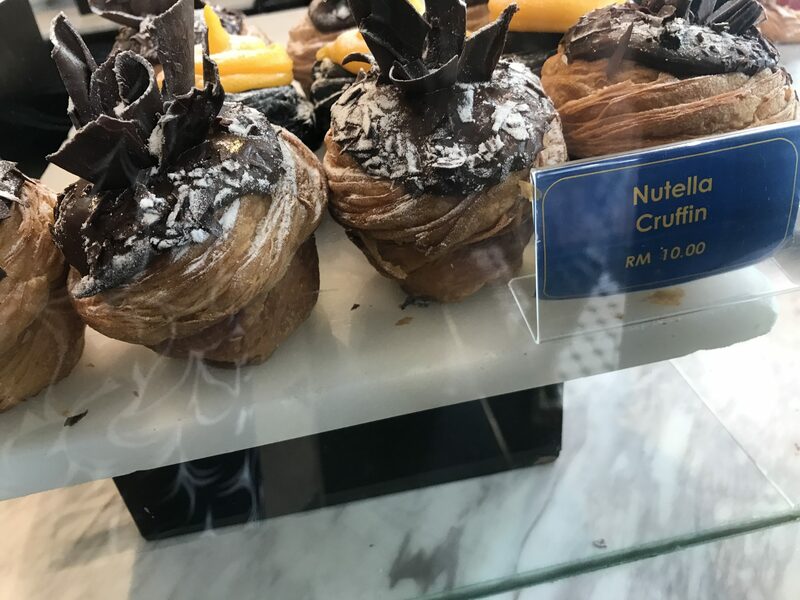 … the cruffin – a buttery croissant dough baked in a muffin shape, and served with a whole variety of cholesterol-enriched toppings. tastes just like diabetes on a doily. I have decided to ration myself to one a month so that I won’t have to buy two seats on the plane for my return – one for me, and one for my non-detachable excess baggage.